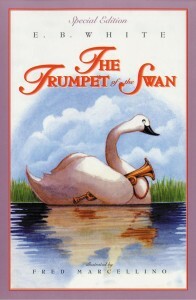 Trumpet of the Swan, ch 21 was posted on June 5th, 2015 at 8.00am and is filed under Audiobooks, Blog. This entry has 2 comments. You can follow any responses through the RSS 2.0 Feed. Just wanted to say thank for keeping us company on our trip halfway across the continent and back, along with the help of EB White and Elizabeth Enright. Your stories made a world of difference to our sanity! Thanks so much for this! My four year old daughter and I have really enjoyed listening to it. Kind regards, Sarah (Pearcedale, Australia).